If you're a blogger then chances are you're a workaholic as well. We tend to juggle so many tasks and roles in order to maintain a successful blog on top of a normal job and if you're a college girl like me, then you're also adding schoolwork to that list. There's nothing wrong with working hard to achieve your goals am I right? Yet no one ever seems to talk about that dreadful feeling of burnout. I'm not talking about being stressed. I'm talking about that feeling of constant mental and physical exhaustion, lack of concentration, being irritable, and even insomnia. Lately I've been feeling it a little more than usual since August was spent doing 8 collaborations (no wonder I'm losing it) along with 2 side projects which I'm glad I was able to achieve but found myself mentally drained from. Do Something Exciting - I'm not going to tell you to "relax" because I know that you're a workaholic like me and have a hard time doing that. So instead do something so exciting that it causes you to "wake up" and see things differently again. When you're stuck in a routine, days tend to blur and you become hopeless. By making sure to include some time to do something exciting at least once a week (I know, shocking but it can be done! I recommend Sundays) then you'll feel a whole lot better. Take a day trip by yourself and explore a new town or dye your hair a different color. You would be surprised at one little change can make you feel better. 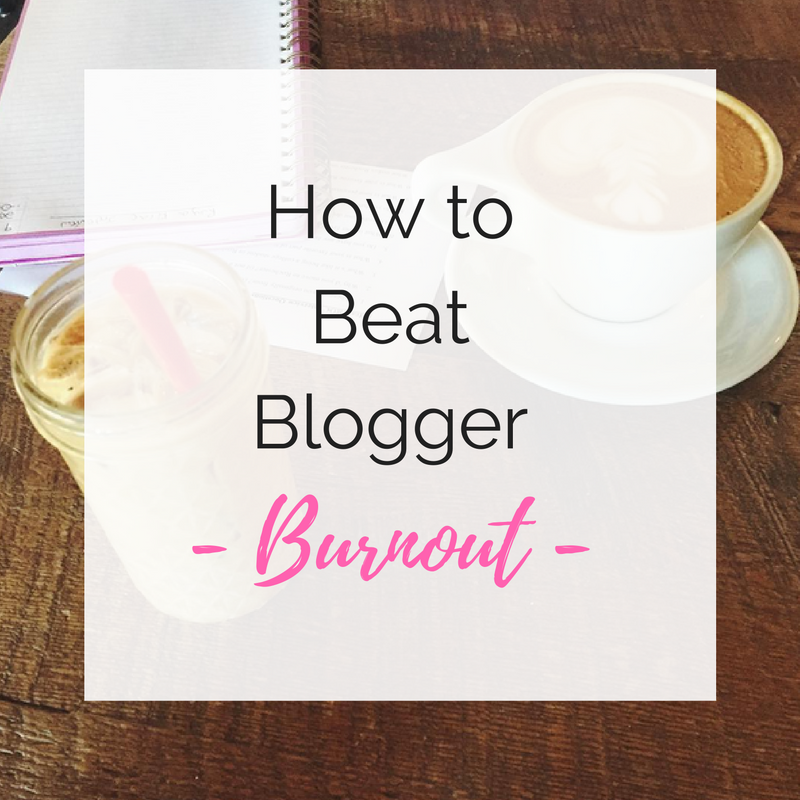 Go Offline - If you have burnout then you'll most likely start losing motivation to blog as well. The only way I've found to actually start blogging again is to turn off my computer and actually do something that doesn't involve being online at all. No this doesn't mean going on Instagram on your phone instead! Just go offline for an hour or two and get a change of scenery. Grab some coffee and people watch, take a walk at a scenic park, or do some window shopping. Vent Session With the Squad - My favorite way of getting rid of burnout is heading to my favorite restaurant with my best friend, grabbing a drink, ordering something with tons of carbs, and proceeding to spend the next two hours complaining about our lives. It's so therapeutic especially when your best friend is a workaholic too. Take Care Of Yourself - Whether it's eating healthy, going to the gym to get all that frustration out, or treating yourself to a spa day, remembering to take care of yourself is a great way to beat burn out. Most people that suffer from burnout (myself included) usually fall into bad habits such as eating too much fast food and then wondering why we're feeling so crappy all the time and resulting in burn out even quicker. Just remember to not overindulge aka buying a new pair of expensive shoes when you already have a million because you deserve to "treat yourself" or is that just me? There Is No Shame In Saying No - Have you ever heard of the saying "You can do anything but not everything?". I'm slowly beginning to accept the fact that I just can't do everything and that's okay. Learn to say no more often which means having to decline some collaborations or blogging only 2-3 times a week instead of 5. Remember your blog thrives on quality content and how can you post your best content when you're not feeling your best? Trust me, your readers are smarter than you think and the difference shows.